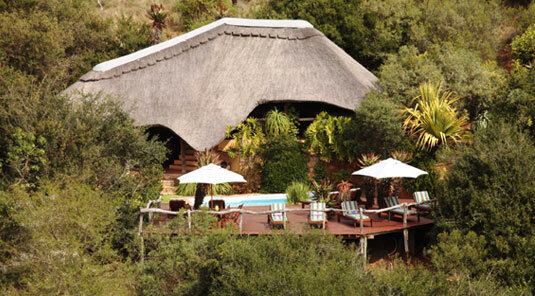 Lentaba, the "lodge on the hillside", sleeps 16 people in eight secluded thatched chalets, placed where magnificent indigenous gardens merge into the surrounding bush. 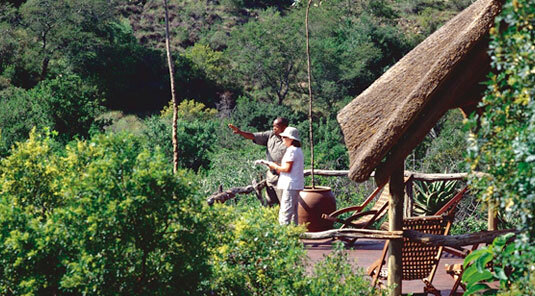 Each en-suite unit has a private observation deck to make the most of the views over the valley bushveld. Each chalet also has a ceiling fan. 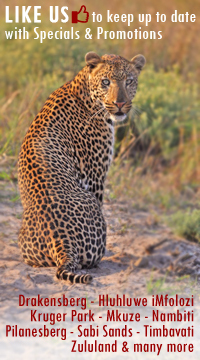 The main lodge, decorated in traditional safari style, boasts a large lounge, viewing deck and a sunny swimming pool where you can spend a lazy afternoon. 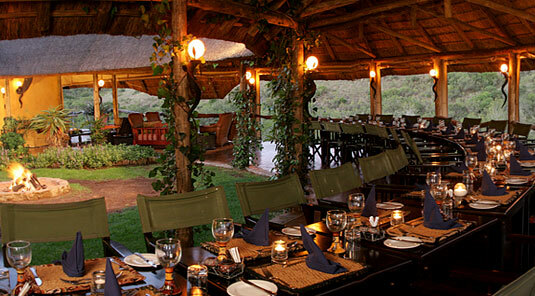 The outdoor dining "boma" has a commanding view of a waterhole which is spotlit after dark for night game viewing. There is also a stylish indoor dining area. Brunch is served al fresco on the main viewing deck. 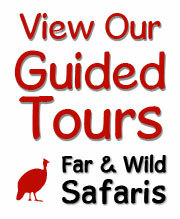 Lentaba Lodge sleeps 18 guests in 8 secluded thatched chalets. 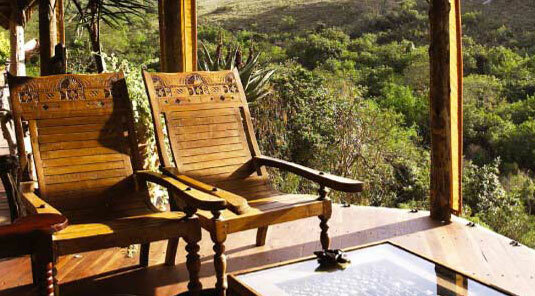 Each en-suite unit has a private observation deck to make the most of the views over the valley bushveld. Each chalet also has a ceiling fan.